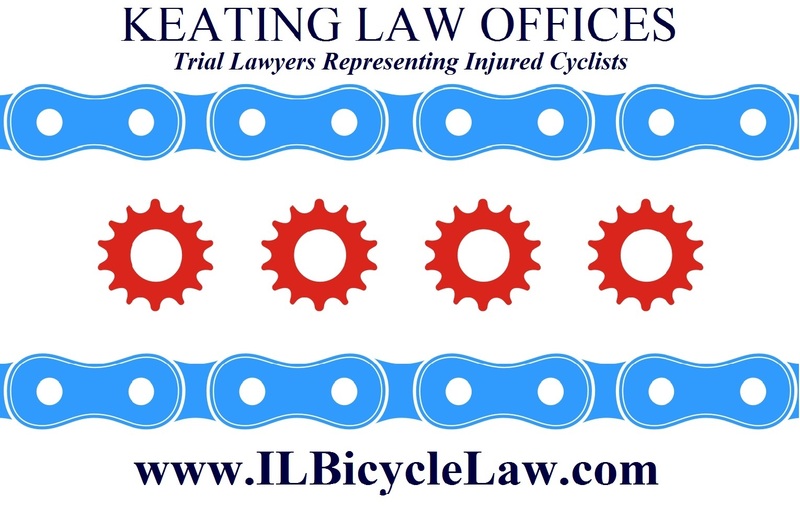 The Illinois Bicycle Lawyers at Keating Law Offices have been retained by a Chicago cyclist who was injured in a motor vehicle vs. bicycle "dooring" collision near the intersection of Lincoln and Armitage. The unique fact in this case is the the dooring was with the passenger door of the cab as a passenger exited the cab while stopped in traffic and opened the door into the path of the bicyclist who was riding to the right of the cab. The dooring occurred just this past week, on Wednesday, April 3. The bicyclist was taken from the scene by ambulance to the ER at Northwestern Memorial Hospital. Ironically, the passenger who opened the cab door into the path of the bicyclist identified herself as a doctor at the scene. This type of dooring is less common than driver-side doorings, but it may potentially become increasingly prevalent as more bike lanes are painted on the far right side of the road. This could create a situation where a cab driver doesn't block the bike lane with the cab, but still causes a major problem by letting the passenger exit right onto the bike lane. 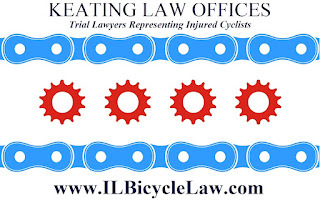 This is also why in situations like this the cab driver and cab company can be liable for the doored bicyclist's injuries. 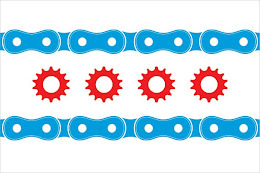 This is because Illinois law considers taxi cabs and limousines to be "common carriers." Under the law "common carriers," which also include buses and trains, are expected to operated with the highest level of care possible since they are holding themselves out as "professional" operators who are responsible for their passengers' safety. Consistent with their passengers safety is to not let their passengers out in a place that is dangerous to the passenger. Clearly if the cab driver doesn't let their passenger out into moving traffic, there is no risk of causing the dooring of bicyclist in the bike lane.